Here are three of China’s cutting edge missile systems to keep an eye out for at the September 3 parade. 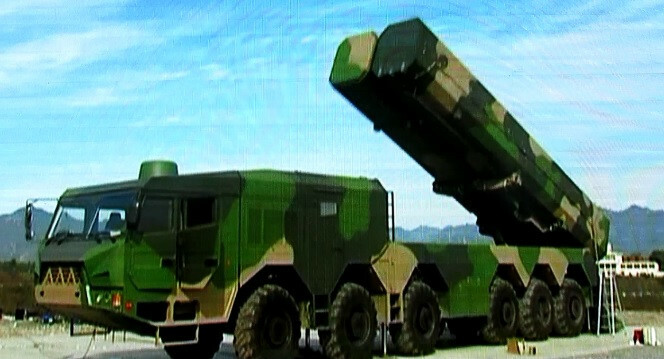 The DF-16 is a short-range ballistic missile (SRBM) and has been under development for some time and will enter service with China’s Second Artillery Force. This one will be a pleasant surprise if it does make an appearance at the parade since very little about the system is known (at least publicly). Per the U.S. Department of Defense’s 2015 report on China’s military, the DF-16 is expected to possess a range of just around 800-1,000 km. The DF-16, alongside the DF-21 medium-range ballistic missile (MRBM), a system we’ve covered extensively here at The Diplomat, will considerably bolster the PLA’s ability to strike Taiwan across the strait. The YJ-18 is an interesting addition to China’s arsenal of anti-ship missiles. The U.S. Department of Defense sees the YJ-18 as China’s in-house take on Russia’s SS-N-27. China acquired that system when it acquired Russian Kilo submarines. The YJ-18 will be important in allowing China to develop a truly expeditionary “blue water” navy. China’s Song-, Yuan-, and Shang-class submarines will field the system, accompanying People’s Liberation Army-Navy (PLAN) task forces out at sea. Chinese advances in military C4SIR (Command, Control, Communications, Computers, Intelligence, Surveillance and Reconnaissance) should allow the PLAN to make the most of the 290 nautical mile range of the YJ-18 to deter over-the-horizon threats. The YJ-18 may also find its way onto China’s Type 052D Kunming-class destroyers and land-based launchers (such as the one pictured above). Weighing in at 80,000 kilograms, roughly on par with the U.S. Minuteman-III, and with an inter-continental range, the DF-41 is the big kahuna of the Dongfeng series of ballistic missiles. Most of what we “know” about this system is based on educated guesswork, but the DF-41 is thought to be a cannister-launched, solid-fuel, road-mobile inter-continental ballistic missile (ICBM). Such a system would bolster the survivability of China’s nuclear deterrent. 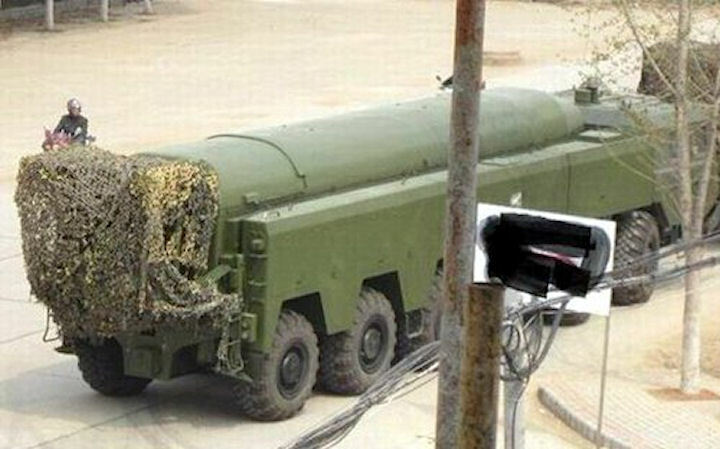 In its 2015 report on China’s military, the U.S. Department of Defense speculates that the DF-41 may be designed with multiple independently targetable reentry vehicles (MIRVs). 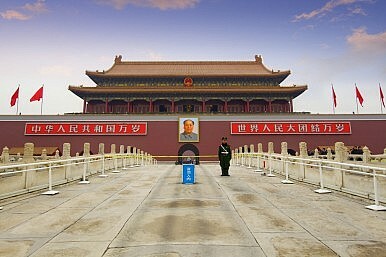 Keep an eye out for these three Chinese missile systems at this Thursday’s parade in Beijing. 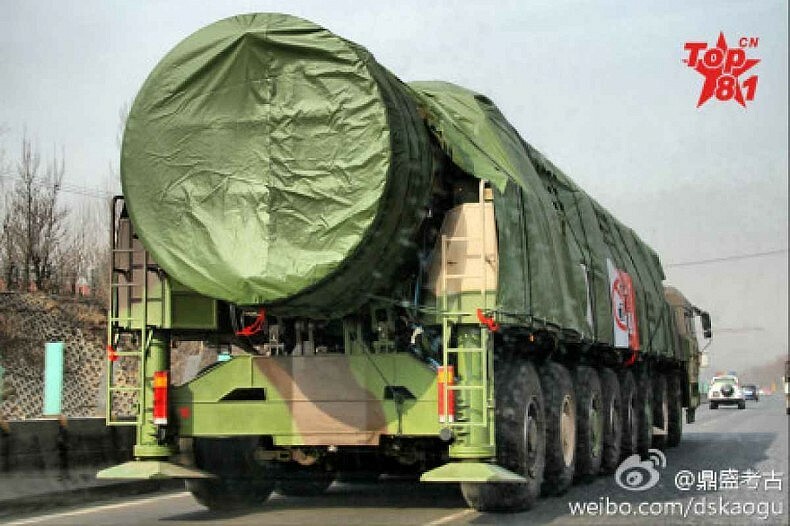 At a recent parade, the People's Liberation Army showed off new long-range ballistic missiles.